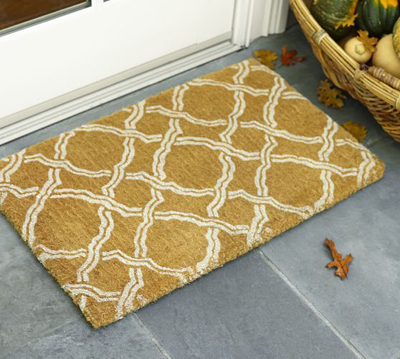 This earth-friendly and durable Kendra Trellis Doormat sets the tone for a stylish home with its modern take on a classic trellis design. In two sizes. $29-$49. Buy here.